New York City guide d'après les archives de Cavallini. Illustration rouge et noire avec les monuments les plus célèbres de New York. 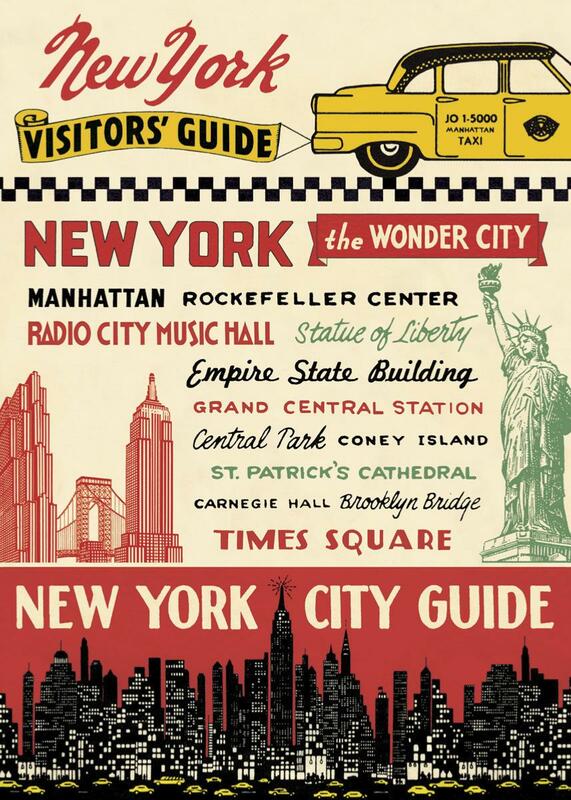 New-York City guide from Cavallini's archives. 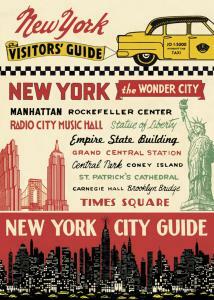 Black and red illustrations with the most famous monuments of New-York.